This post has been sponsored by Two Good™. All thoughts and opinions are my own. Hey friends! 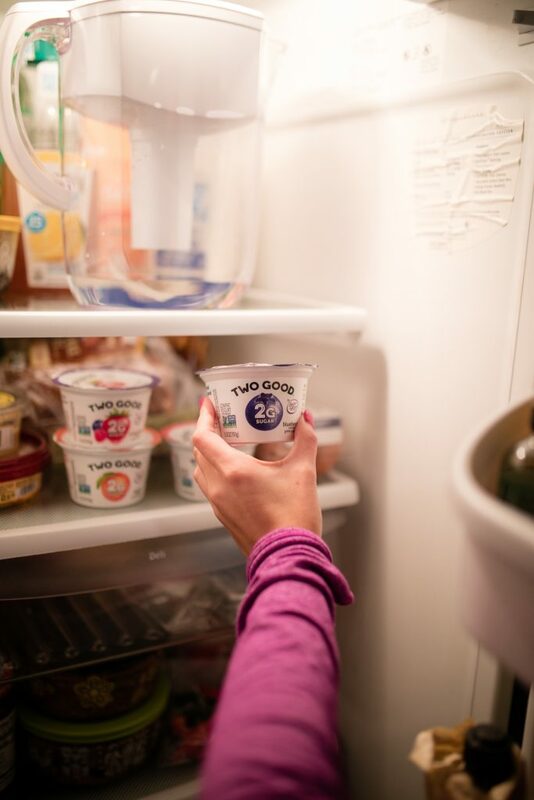 I’m so excited about today’s post because not only does it include my new favorite flavored yogurt (Two Good™ Greek lowfat yogurt!) but I’m also sharing a few self-care tips that actually really help make my days better. Don’t worry, they’re super simple! As you guys know, I don’t believe that doing good things for yourself should be saved for special occasions. We should all be treating ourselves well every single day, and no that doesn’t mean buying tons of material things! 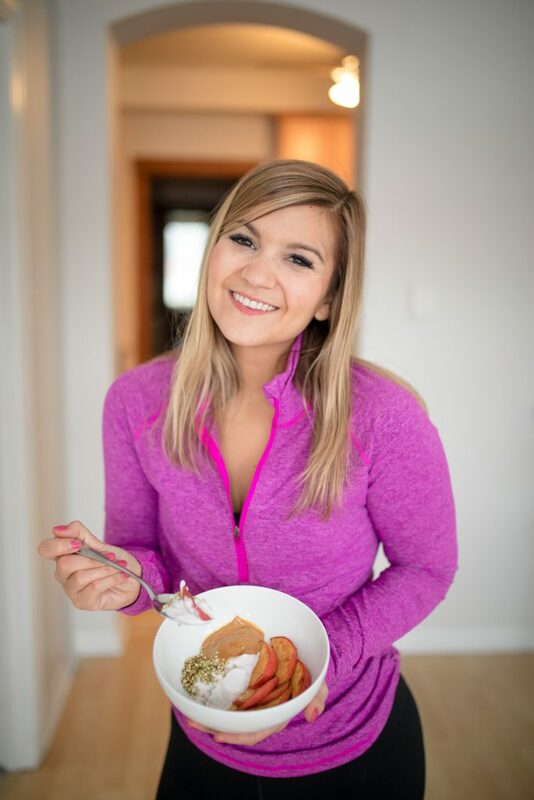 It simply means believing that you deserve to eat nutritious foods, get exercise, and unwind/take a break from technologies and responsibilities. So let’s break it down! 1. Eat something good for you. 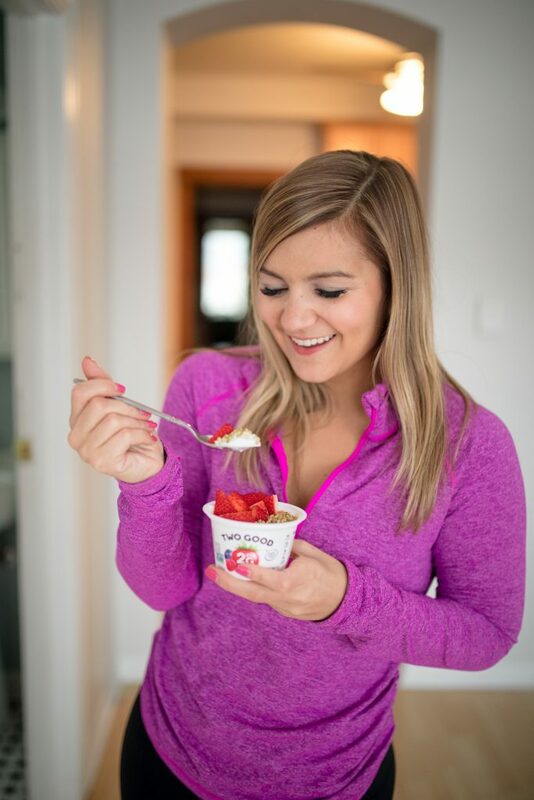 One of my new favorite breakfasts or post-workout snacks is Greek yogurt with toppings because it’s so darn easy! That being said, I’ve had a lot of trouble finding flavored versions that don’t have a lot of added sugar. Luckily, when I headed to my local Jewel-Osco for a grocery run, I found the new Two Good™ Greek lowfat yogurt that comes in amazing flavors like strawberry, blueberry, peach, mixed berry, and more—and each one has 2 grams of total sugar per 5.3 oz serving! It also has 12 grams of protein per serving, and it is Non-GMO Project Verified. Yes PLEASE! I’ve been so excited about this discovery that I even had my photographer (hey, Hannah!) try the strawberry one after our shoot as soon as I heard she hadn’t eaten all day. She couldn’t get over how good it was either! 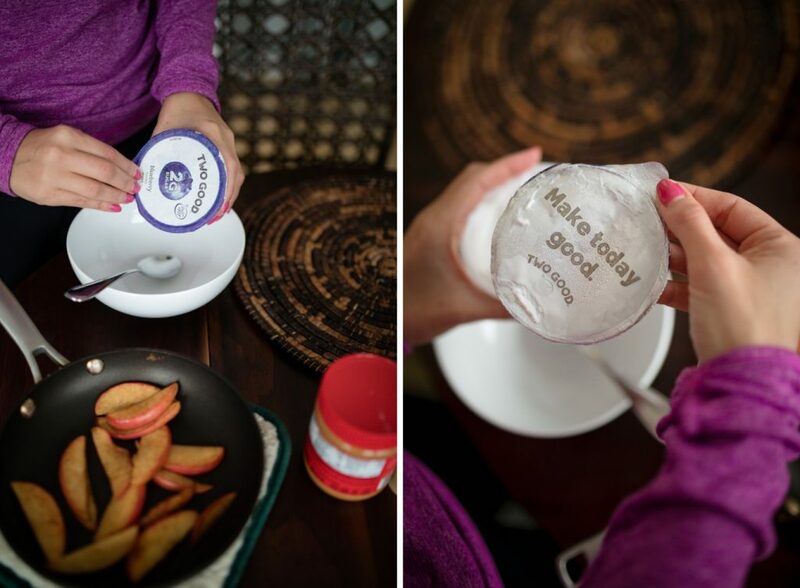 Plain yogurt is great, but the flavors are what really keep us coming back. Sometimes a blueberry flavored yogurt just hits the spot, right?! I usually add fruit, nut butter, and some sort of crunchy topping to my yogurt. This winter, I’ve been loving warm apple slices. 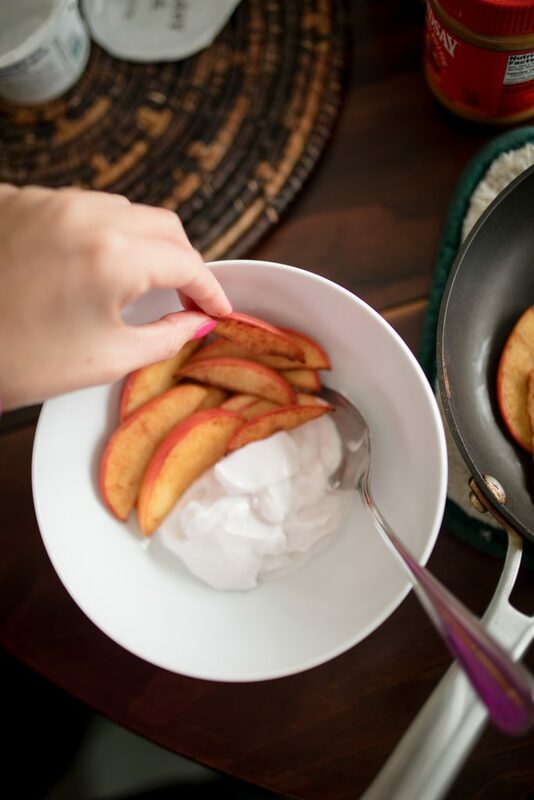 Just add a little coconut oil to a pan over medium heat and add apple slices and a generous amount of cinnamon. Cook for about 5 minutes or until the apples are just soft. That’s it! 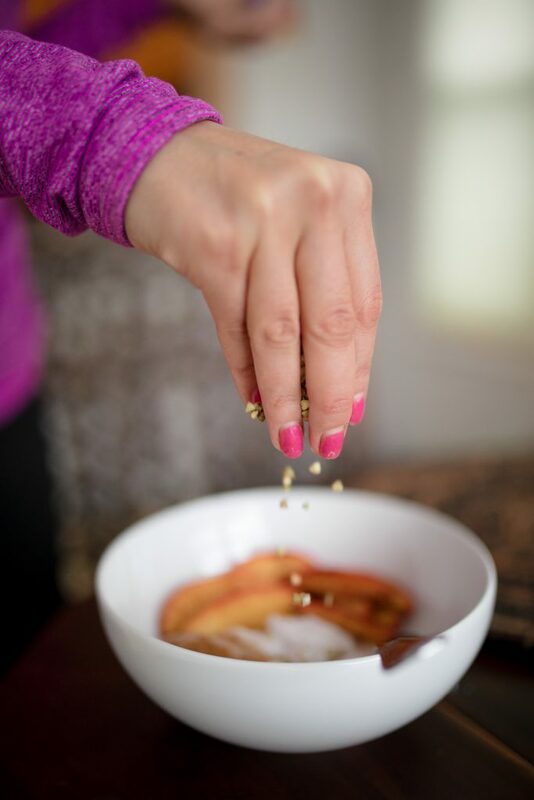 I also love sprouted buckwheat seeds as a way to add crunch. I like it as a less sweet alternative to granola, especially when paired with this Two Good™ lowfat Greek yogurt! I know I remind you guys to move all the time, but that’s because it’s a MOOD BOOSTER. Having a crappy day? Go get a sweat in. Frustrated with something outside of your control? Go for a walk. Find yourself falling into the comparison trap? Turn your phone off and go to yoga! Even if you don’t belong to a gym or fitness studio, a good old-fashioned walk can work wonders. 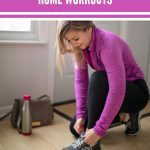 If it’s too cold out for that, there are also a lot of great online fitness classes you can take right at home. However you do it, endorphins are REAL, guys! 3. Disconnect from your phone/computer. I have been actively trying to disconnect from my phone and computer more, and it has made such an impact on my day-to-day life. I’ve realized that I’m a bit of a workaholic if I don’t reel myself in. So this year, I’ve made a point to put my computer and phone away at the end of the day. Instead of scrolling through Instagram or responding to DMs before bed, I take my kindle out and read. Along those same lines, I’ve been brewing a cup of coffee and reading on Saturday and Sunday mornings at home instead of taking out my computer or checking my phone. As a result, I feel so much more relaxed and grounded, and I sleep better when I do this, too! Even if reading isn’t your thing, the point is to make the decision to disconnect from work, email, and social media. Maybe journaling helps you. Or maybe watching an episode of Grace & Frankie calms you down! Whatever works, just take a little bit of time for you when you can. What practical self care tips work for you? Also, have you tried Two Good Greek yogurt yet?! Head to SpoonSomeGood.com for more ideas and recipes! PS. 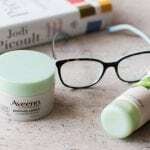 You might also like 5 Things: Hi Def vs. Sculpt, CBD Oil, and more! 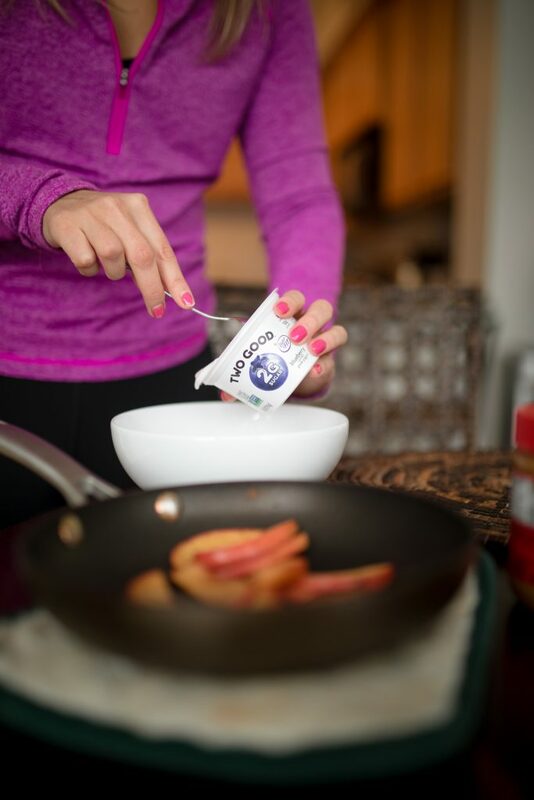 Just a thought…..My daughter Amanda works for Chobani and I have been loving their new ‘Hint of’ flavors, vanilla and cinnamon, blueberry and 2 others….. – it has the same amount of sugar as in plain yogurt – 7 g – which is what is naturally in milk! 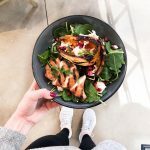 I know the Two Good has 2 g which is great – they say they have a way to strain the milk, but they do add stevia and although stevia has some benefits it also has some risks like digestive problems and allergic reactions. I wold prefer to eat natural sugars from the milk than add an alternative sweetener. This is a Dannon product and they used to be #1 in the industry and they are looking to find a way back in. Love the warm apples and cinnamon!!! Hey Linda! I’m totally with you – I try to be aware of how much stevia I eat, too! That being said, from my research, it’s still WAY better than so many of the other sweeteners out there. I try to eat/look for unsweetened yogurts as often as I can and just add my own toppings at home, but sometimes (especially if you’re on the go) a flavored yogurt just tastes so good! Haha I’ll have to try the Chobani ‘Hint Of’ ones though – those sound like a great option, too! !